Costa-Gavras (short for Konstantinos Gavras; Greek : Κωνσταντίνος Γαβράς; born 12 February 1933) is a Greek-French film director and producer who lives and works in France. He is known for films with overt political themes, such as the thriller Z (1969), but he has also made comedies. Most of his movies have been made in French; however, six were made in English: Missing (1982), Hanna K. (1983), Betrayed (1988), Music Box (1989), Mad City (1997), and Amen. (2002). He produces most of his films himself, through his production company K.G. Productions. Z is a 1969 Algerian-French epic political thriller film directed by Costa-Gavras, with a screenplay by Gavras and Jorge Semprún, based on the 1966 novel of the same name by Vassilis Vassilikos. The film presents a thinly fictionalized account of the events surrounding the assassination of democratic Greek politician Grigoris Lambrakis in 1963. With its satirical view of Greek politics, its dark sense of humor, and its downbeat ending, the film captures the outrage about the military dictatorship that ruled Greece at the time of its making. Iraia is a former municipality in Arcadia, Peloponnese, Greece. Since the 2011 local government reform it became a municipal unit of the municipality of Gortynia. The municipal unit has an area of 144.002 km2. It consists of 27 villages. Population 1,552 (2011). The seat of the municipality was in Paloumpa. The municipality is named after the ancient Arcadian city of Heraia. The region was known in recent times for the construction workers (mastori) who came from the villages of Servos and Lyssarea. Pausanias describes the ancient cities of Heraia and Melaineai and their buildings. An excavation near Lyssarea uncovered buildings, mosaics, as well as gold and silver coins. Arcadia is one of the regional units of Greece. It is part of the administrative region of Peloponnese. It is situated in the central and eastern part of the Peloponnese peninsula. It takes its name from the mythological figure Arcas. In Greek mythology, it was the home of the god Pan. In European Renaissance arts, Arcadia was celebrated as an unspoiled, harmonious wilderness. Yves Allégret was a French film director, often working in the film noir genre. He was born in Asnières-sur-Seine, Hauts-de-Seine and died in Paris. Jean Giono was a French author who wrote works of fiction mostly set in the Provence region of France. Shock Troops is a 1967 French-Italian drama film directed by Costa-Gavras. It was entered into the 5th Moscow International Film Festival. Film producer Harry Saltzman has a "presented by" credit. Jean-Louis Xavier Trintignant is a retired French actor. He won the Best Actor Award at the 1969 Cannes Film Festival as well as the Best Actor Award at the César Awards 2013. Ivo Livi, better known as Yves Montand, was an Italian-French actor and singer. Grigoris Lambrakis was a Greek politician, physician, track and field athlete, and member of the faculty of the School of Medicine at the University of Athens. A member of the Greek resistance to Axis rule during WWII, he later became a prominent anti-war activist. His assassination by right-wing zealots provoked mass protests and led to a political crisis. Costa-Gavras and co-writer Jorge Semprún won an Edgar Award from the Mystery Writers of America for Best Film Screenplay. L'Aveu (The Confession, direction, 1970) follows the path of Artur London, a Czechoslovakian communist minister falsely arrested and tried for treason and espionage in the Slánský 'show trial' in 1952. Jorge Semprún Maura was a Spanish writer and politician who lived in France most of his life and wrote primarily in French. From 1953 to 1962, during the dictatorship of Francisco Franco, Semprún lived clandestinely in Spain working as an organizer for the exiled Communist Party of Spain, but was expelled from the party in 1964. After the death of Franco and change to a democratic government, he served as Minister of Culture in Spain's socialist government from 1988 to 1991. He was a screenwriter for two successive films by the Greek director Costa-Gavras, Z (1969) and The Confession (1970), which dealt with the theme of persecution by governments. For his work on the films The War Is Over (1966) and Z (1969) Semprun was nominated for the Academy Award. In 1996, he became the first non-French author elected to the Académie Goncourt, which awards an annual literary prize. State of Siege (1972) takes place in Uruguay under a conservative government in the early 1970s. In a plot loosely based on the case of US police official and alleged torture expert Dan Mitrione, an American embassy official (played by Yves Montand) is kidnapped by the Tupamaros, a radical leftist urban guerilla group, which interrogates him in order to reveal the details of secret American support for repressive regimes in Latin America. Missing, originally released in 1982 and based on the book The Execution Of Charles Horman, concerns an American journalist, Charles Horman (played by John Shea in the film), who disappeared in the bloody coup led by General Augusto Pinochet in Chile and backed by the United States in 1973. Horman's father, played by Jack Lemmon, and wife, played by Sissy Spacek, search in vain to determine his fate. Nathaniel Davis, US ambassador to Chile from 1971–1973, a version of whose character had been portrayed in the movie (under a different name), filed a US$150 million libel suit, Davis v. Costa-Gavras, 619 F. Supp. 1372 (1985), against the studio and the director, which was eventually dismissed. The film won an Oscar for Best Screenplay Adaptation and the Palme d'Or at the Cannes Film Festival. Betrayed (1988), roughly based upon the terrorist activities of American neo-Nazi and white supremacist Robert Mathews and his group The Order. Amen. (2003), was based in part on the highly controversial 1963 play, Der Stellvertreter. Ein christliches Trauerspiel (The Deputy, a Christian Tragedy), by Rolf Hochhuth. The movie alleges that Pope Pius XII was aware of the plight of the Jews in Nazi concentration camps during World War II, but failed to take public action to publicize or condemn the Holocaust. Costa-Gavras is known for merging controversial political issues with the entertainment value of commercial cinema. Law and justice, oppression, legal/illegal violence, and torture are common subjects in his work, especially relevant to his earlier films. Costa-Gavras is an expert of the “statement” picture. In most cases, the targets of Costa-Gavras's work have been right-of-center movements and regimes, including Greek conservatives in and out of the military in Z , and right-wing dictatorships that ruled much of Latin America during the height of the Cold War, as in State of Siege and Missing . In a broader sense, this emphasis continues with Amen. given its focus on the conservative leadership of the Catholic Church during the 1940s. In this political context, L'Aveu (The Confession) provides the exception, dealing as it does with oppression on the part of a Communist regime during the Stalinist period. Costa-Gavras is a self-proclaimed communist. Costa-Gavras has brought attention to international issues, some urgent, others merely problematic, and he has done this in the tradition of cinematic story-telling. 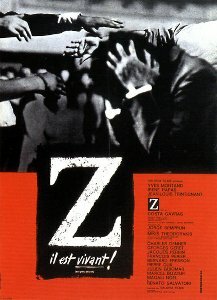 Z (1969), one of his most well-known works, is an account of the undermining in the 1960s of democratic government in Greece, his homeland and place of birth. The format, however, is a mystery-thriller combination that transforms an uncomfortable history into a fast-paced story. This is a clear example of how he pours politics into plot, "bringing epic conflicts into the sort of personal conflicts we are accustomed to seeing on screen." His accounts of corruption propagated, in their essence, by European and American powers ( Z , State of Siege and Missing ) highlight problems buried deep in the structures of these societies, problems which he deems not everyone is comfortable addressing. The approach he adopted in L'Aveu also "subtly invited the audience to a critical look focused on structural issues, delving this time into the opposite Communist bloc." Costa Gavras never worked in Greece and never made a film in Greek language. Costa-Gavras has received an honorary doctorate from the Film School of the Aristotle University in 2013. He was president of the Cinémathèque Française from 1982 to 1987, and again since 2007. He was interviewed extensively by The Times cultural correspondent Melinda Camber Porter and was featured prominently in her book Through Parisian Eyes: Reflections on Contemporary French Arts and Culture (1993, Da Capo Press). He is a first cousin of recording artist Jimmie Spheeris, filmmaker Penelope Spheeris, and musician Chris Spheeris. His daughter Julie Gavras and his son Romain Gavras are also filmmakers. He is a distant relative of actor Jordan Gavaris who is best known for Orphan Black and Jasper Bartlett on the action/adventure series Unnatural History for Cartoon Network and in his latest film, The Sea of Trees . Missing is a 1982 American historical drama film directed by Costa-Gavras and starring Sissy Spacek, Jack Lemmon, Melanie Mayron, John Shea, Janice Rule and Charles Cioffi. It is based on the true story of American journalist Charles Horman, who disappeared in the bloody aftermath of the US-backed Chilean coup of 1973 that deposed the democratically elected socialist President Salvador Allende. Set largely during the days and weeks following Horman's disappearance, the movie depicts his father and wife searching to determine his fate. The film examines the relationship between Horman's wife Beth (Spacek) and her father-in-law, American businessman Ed Horman (Lemmon). Penelope Spheeris is an American film director, producer and screenwriter. She has directed both documentary film and scripted films. Her best known works include the trilogy titled The Decline of Western Civilization, each covering an aspect of Los Angeles underground culture, and Wayne's World, her highest-grossing film. Jiří Menzel is a Czech film director, theatre director, actor, and screenwriter. His films often combine a humanistic view of the world with sarcasm and provocative cinematography. 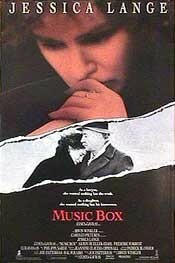 Some of these films are adapted from works by Czech writers such as Bohumil Hrabal and Vladislav Vančura. State of Siege is a 1972 French film directed by Costa-Gavras starring Yves Montand and Renato Salvatori. The Sleeping Car Murders is a 1965 French mystery film directed by Costa-Gavras from the novel by Sébastien Japrisot. It stars Simone Signoret, Michel Piccoli, Yves Montand, Jean-Louis Trintignant, Catherine Allégret, Jacques Perrin, Charles Denner and Pascale Roberts. 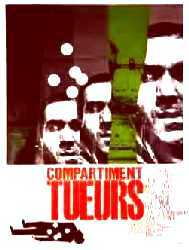 This film was the first movie for Costa-Gavras, to be followed later by other, more politically serious work. Julie Gavras is a French film director and screenwriter. She is the daughter of film director Costa-Gavras. Françoise Bonnot was a French film editor with more than 40 feature film credits. Adrian Sitaru is a Romanian director, producer and actor, born in 1971. He is the author of several short films, of which Valuri, the most well-known, has received numerous prizes. Notably, he also worked with Costa Gavras in the making of Amen. (2002). Jean-Claude Grumberg is a French writer of children's books and a playwright. Armand Amar is a French composer, who grew up in Morocco. He won the 2010 César Award for Best Music for Le Concert. The 58th annual Berlin International Film Festival was held from February 7 to February 17, 2008. The festival opened with Martin Scorsese's documentary film Shine a Light. Be Kind Rewind by Michel Gondry served as the closing film. 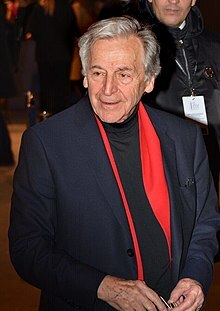 Greek-French filmmaker Costa Gavras, was selected to serve as the Jury President at the festival. Frank Teruggi, Jr. (1949–1973) was an American student, journalist, and member of the Industrial Workers of the World, from Chicago, Illinois, who became one of the victims of General Augusto Pinochet's military shortly after the September 11, 1973 Pinochet coup d'état against Socialist President Salvador Allende. The Little Apocalypse is a 1993 French comedy film, an adaptation of Tadeusz Konwicki's novel, directed by Costa-Gavras. It was entered into the 43rd Berlin International Film Festival. It follows the trials of a Pole who lives in France who wants his written work published. Unable to get anywhere, he starts to enlist help from others, resorting to some unusual extremes. Radu Jude is a Romanian film director and scenarist. Joyce Marie Horman is an American human rights activist. She is known as the wife of journalist Charles Horman, who went missing in 1973 while the couple was living in Santiago, Chile. Her search for what happened to him was chronicled in the 1982 film Missing, in which she was portrayed by Sissy Spacek. Spacek was nominated for an Academy Award for her performance as Horman. Her family's story was first told in the 1978 book by Thomas Hauser titled The Execution of Charles Horman: An American Sacrifice. Edmund C. Horman was an American businessman who flew to Chile in 1973 in search of his son, Charles Horman, knowing that soldiers had seized him, but was unaware that he had been shot to death by the Chilean military forces under General Augusto Pinochet, during their coup against President Salvador Allende. ↑ Maya Jaggi (4 April 2009). "Interview: Costa Gavras". London: The Guardian. Retrieved 28 October 2011. ↑ "Biographie et Filmographie de COSTA-GAVRAS - Ciné Passion". Cinemapassion.com. Archived from the original on 1 October 2011. Retrieved 28 October 2011. ↑ "5th Moscow International Film Festival (1967)". MIFF. Archived from the original on 16 January 2013. Retrieved 15 December 2012. ↑ "The 42nd Academy Awards (1970) Nominees and Winners". oscars.org. Retrieved 16 November 2011. ↑ "Berlinale: 1993 Programme". berlinale.de. Retrieved 5 June 2011. ↑ Crousse, Nicolas (10 January 2013). "Les Magritte fêteront Yolande Moreau et Costa-Gavras". Le Soir (in French). Retrieved 10 January 2013. ↑ "Costa Gavras". Biographicon.com. Archived from the original on 19 January 2012. Retrieved 22 February 2013. Wikimedia Commons has media related to Costa-Gavras .